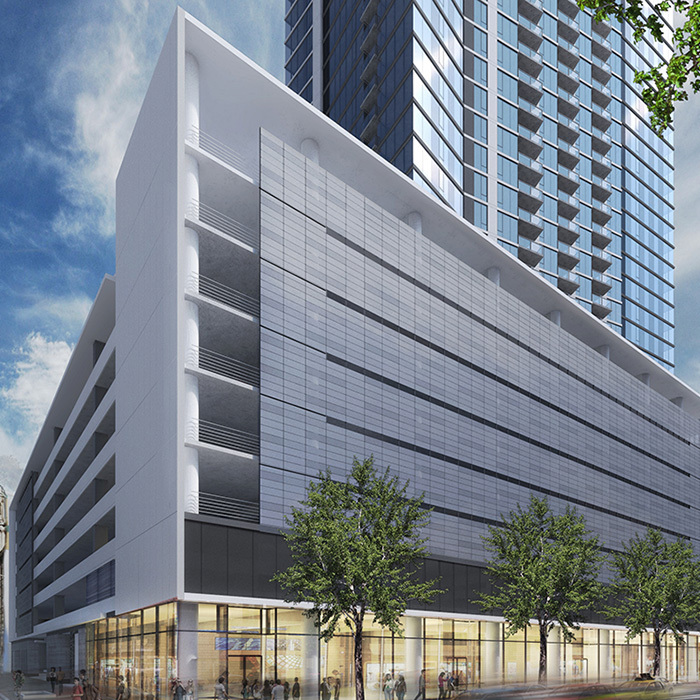 Northwestern Mutual is building a 34-story mixed-use development at 777 N. Van Buren Street, adjacent to its downtown Milwaukee campus. 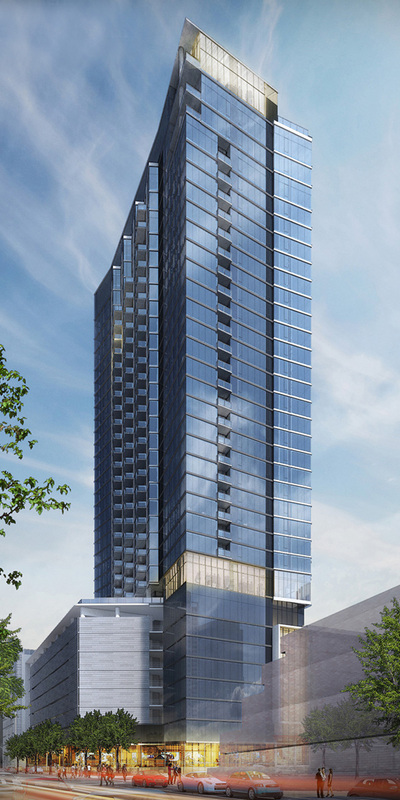 The 925,600 square-foot tower will feature high-end residential apartments and retail space, while also addressing the company’s workforce parking needs. 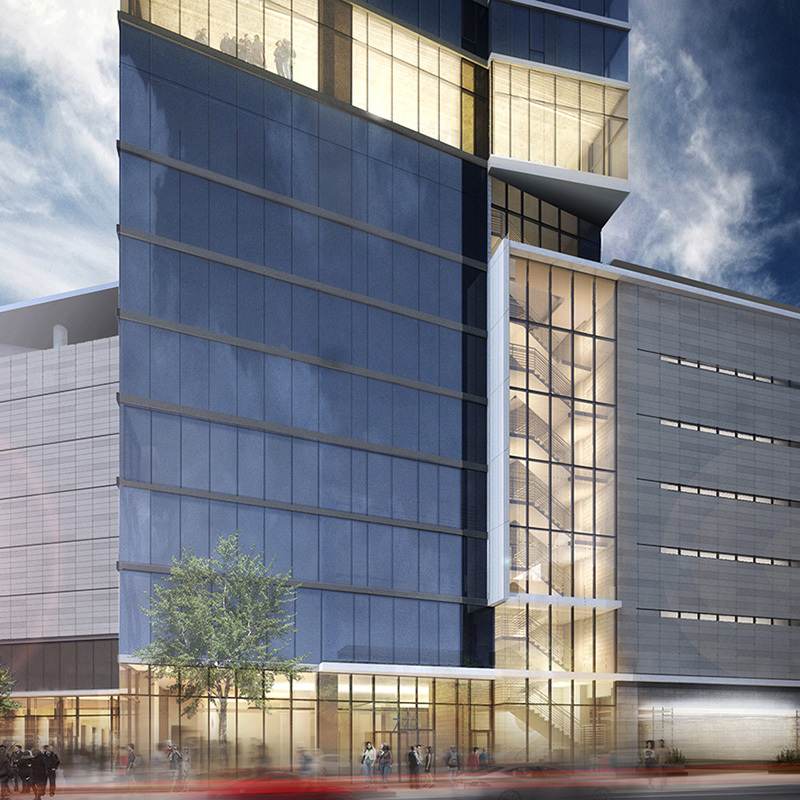 An eight-storey parking garage will provide approximately 1,400 parking stalls for employees, building residents, and the public. Amenity space above the parking garage will feature an outdoor swimming pool, fire pit, indoor golf simulator, and fitness centre. A 25-storey residential tower will rise above the parking and amenity space, and will include 308 apartments and 14 penthouse units. 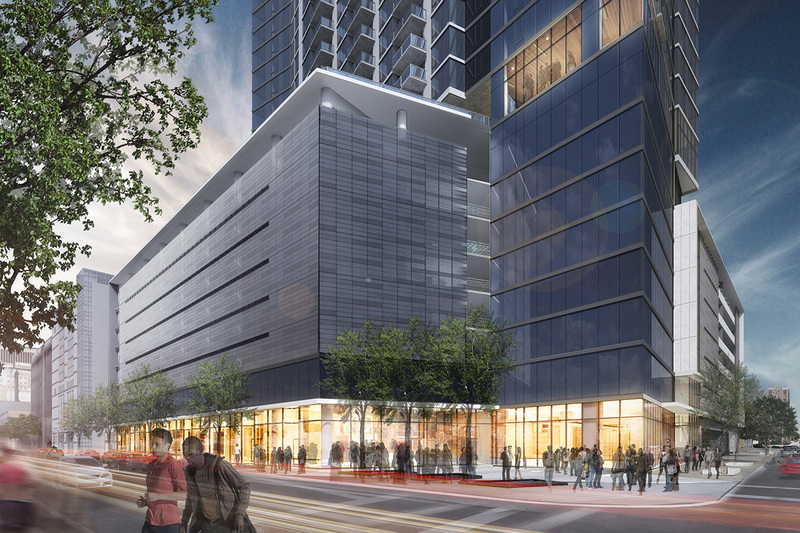 The development will also include ground floor retail space and a public plaza. As the exterior enclosure consultant, Entuitive is supporting the project team in all aspects of the building envelope including waterproofing systems, seismic requirements, above grade exterior walls and glazing systems, and roofing. Designed with environmental sustainability in mind, the project is targeting LEED® Certification from the U.S. Green Building Council.